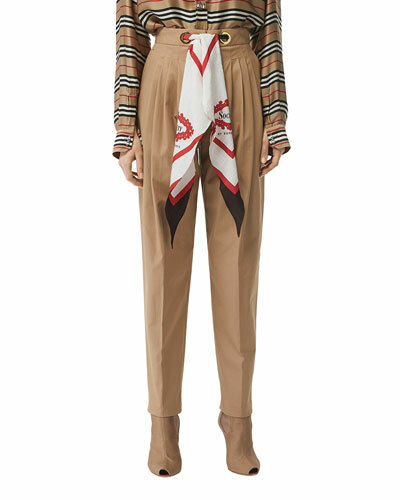 Tailored to perfection, Burberry pants are a chic staple that stylish women reach for again and again. While wearing them may seem as ordinary as breathing, homage must be paid to modern fashion icons, who show us a good pair of trousers are far more than utilitarian: They are empowering. 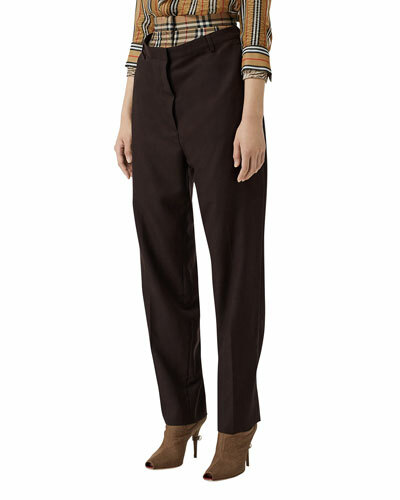 It’s a notion we gladly champion with the must-have collection of Burberry pants and Burberry leggings at Neiman Marcus. 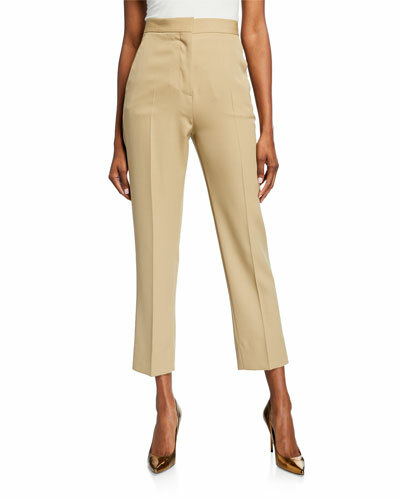 High-waisted, wide-leg trousers tailored in luxurious fabric evoke glamour, while also conveying a confident, polished élan designed to go everywhere. 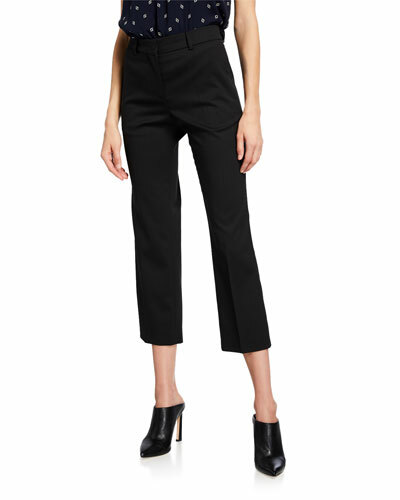 Cropped Burberry pants are simultaneously edgy and flirty; fashion chameleons that can morph from casual to high-fashion with a simple change of tops, shoes, and accessories. Skinny denim jeans are rock-star worthy with a form-fitting profile that is designed to break hearts. Stitched from a decadent stretch of black leather, Burberry leggings skillfully balance the razor’s edge between bad girl and modern-day goddess. 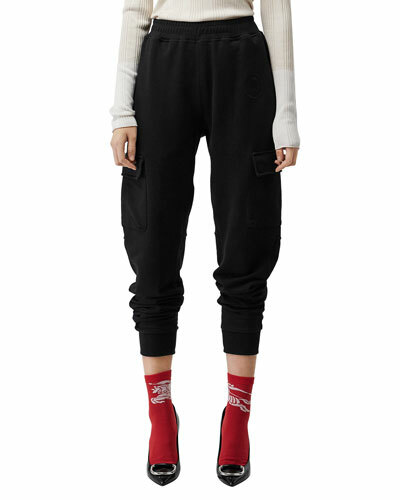 Whether your personal style is classic, casual, or edgy, you’ll find an irresistible collection of Burberry pants and leggings to suit your style at Neiman Marcus.